To claim this profile, please confirm you are Zahra Bichara. To follow this profile, please let us know your relationship to Zahra Bichara. Zahra's basketball stats have been updated for the loss @ Mitchell. RESULTLoss Girls varsity basketball @ Mitchell. The Mountain Island Charter varsity basketball team lost Tuesday's away playoff game against Mitchell (Bakersville, NC) by a score of 61-46. This game is part of the "2019 Women's Basketball Championships - 1A" tournament. Zahra was selected the Player of the Game in the basketball game against Langtree Charter Academy on Wed, Feb 20 2019. Congratulations to #3 Zahra Bichara for being selected the Mountain Island Charter Girls Basketball Player of the Game. Zahra's basketball stats have been updated for the loss vs. Langtree Charter Academy. The Mountain Island Charter varsity basketball team lost Wednesday's neutral conference tournament game against Langtree Charter Academy (Mooresville, NC) by a score of 68-54. Zahra was selected the Player of the Game in the basketball game against Pine Lake Preparatory on Fri, Feb 15 2019. Zahra's basketball stats have been updated for the win vs. Bradford Preparatory School. RESULTWin Girls varsity basketball vs. BPS. The Mountain Island Charter varsity basketball team won Monday's home conference tournament game against Bradford Preparatory School (Charlotte, NC) by a score of 76-28. Zahra's basketball stats have been updated for the win @ Pine Lake Preparatory. RESULTWin Girls varsity basketball @ PLPHS. The Mountain Island Charter varsity basketball team won Friday's away conference game against Pine Lake Preparatory (Mooresville, NC) by a score of 43-42. Zahra's basketball stats have been updated for the win vs. Queen's Grant. RESULTWin Girls varsity basketball vs. Queen's Grant. The Mountain Island Charter varsity basketball team won Tuesday's home conference game against Queen's Grant (Matthews, NC) by a score of 58-17. Zahra's basketball stats have been updated for the loss vs. Union Academy. RESULTLoss Girls varsity basketball vs. Union Academy. The Mountain Island Charter varsity basketball team lost Friday's home conference game against Union Academy (Monroe, NC) by a score of 65-37. Zahra was selected the Player of the Game in the basketball game against Bradford Preparatory School on Tue, Feb 05 2019. Zahra's basketball stats have been updated for the win @ Bradford Preparatory School. RESULTWin Girls varsity basketball @ BPS. The Mountain Island Charter varsity basketball team won Tuesday's away conference game against Bradford Preparatory School (Charlotte, NC) by a score of 52-25. Zahra was selected the Player of the Game in the basketball game against Community School of Davidson on Tue, Jan 29 2019. 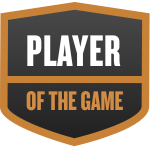 Zahra was selected the Player of the Game in the basketball game against Pine Lake Preparatory on Tue, Jan 22 2019.